These hand made candles are perfect for your candle sticks. 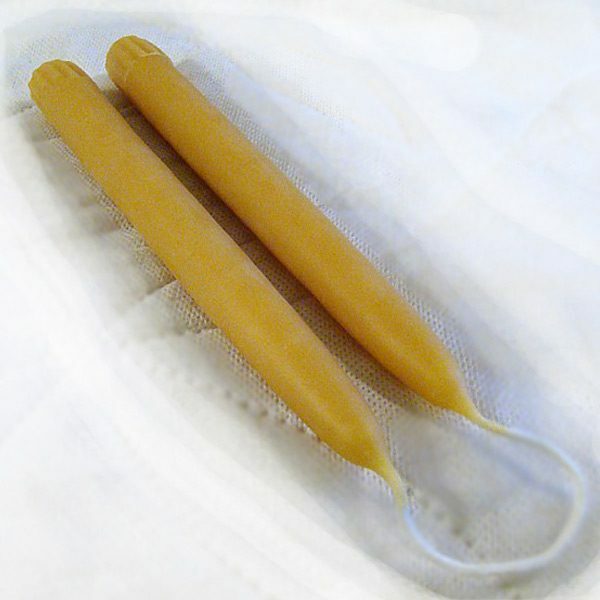 Beeswax, hand dipped, 100% solid beeswax tapers are long burning, dripless, smoke free and emit a steady, bright flame. Burn for approximately 8 hours each. 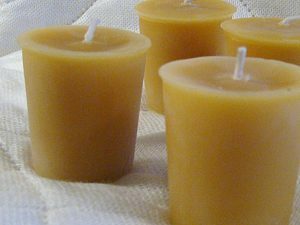 These Beeswax Dinner Candles are 7/8″ diameter to fit standard candlesticks. We create our tapers using old world candle making techniques by hand dipping each pair repeatedly in melted wax to build up the perfect diameter. 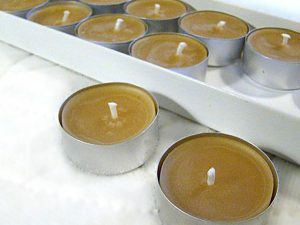 Each candle is dipped and cooled over twenty times before a pair is removed from the old-time oak rack used for dipping. When finished they carry the rich scent of beeswax and honey. Keep out of drafts when burning and away from fans – these tapers will burn virtually dripless. Our hand-dipped tapers will burn dripless for more than one hour per inch. Base diameter is 7/8″. Cotton wicks – lead free – paraffin free.